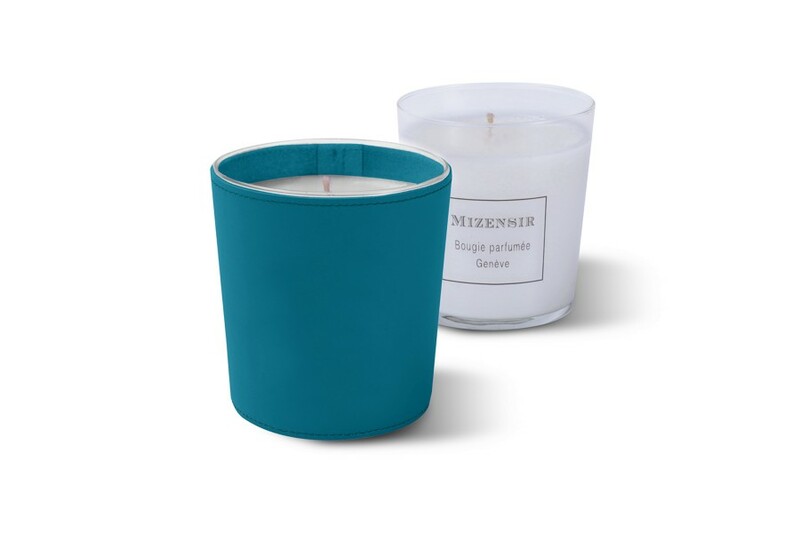 We have conceived sublime leather candle covers for the finest scented candles of Mizensir. Discover the amazing choice of authentic candle holders in leather that can match any interior decor - from the classic to the modern ones. 3 scents are available. 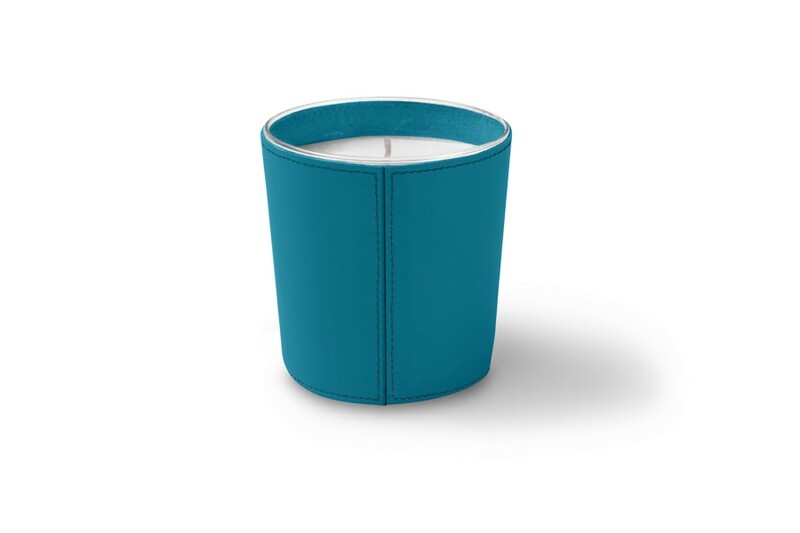 The wrap-around candle cover can be customized with initials, name or even a logo - an original and pleasing gift idea. Delivered with a Mizensir Genève Candle. Ambre Oriental: The “Arabian Nights” version with an amber & vanilla scent, complemented with subtle tangerine and bergamot essence. Cuir et Feu: Reminiscent of the warmth of a fire in a cozy dacha, this scent is complemented with a touch of leather, wood and amber. Bois de Cèdre: Scent originating from the blue cedar of Lebanon, complemented with a rustic touch of wood, amber and geranium leaves.